Every girl needs a platform heel in her life to spice things up every now and then! 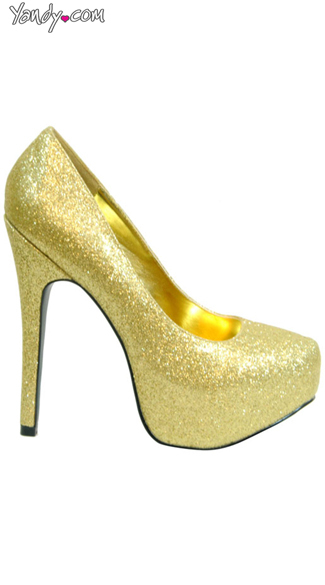 This platform pump has a 5.5 inch heel, a concealed platform with a pointed toe. Available in glittered colors or in shiny patent black.